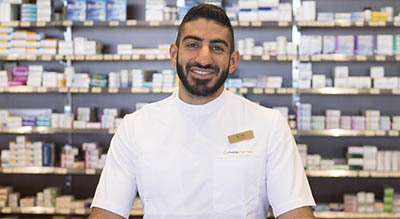 Choice Pharmacy is a new and exciting pharmacy group that focuses on superior service and quality. Choice pharmacy is more than just a pharmacy. It is your local community hub offering you great health advice, beauty tips, unique products and impeccable service. We stock a wide variety of health products, vitamins, cosmetics, fragrances, skincare, haircare and gifts all at great prices. We have identified a need for a more inviting, open and beautiful shopping experience for pharmacy customers. We believe this creates confidence within our customers and nothing builds loyalty more than confidence. Our experience, practices and standards expand over 20 years' experience in the pharmaceutical industry creating and maintaining an impeccable reputation and important relationships in a very competitive industry. Choice Pharmacy currently have 5 stores across Australia located in North Kellyville, Colebee, Spring Farm, Vincentia and Bakewell NT. Choice pharmacy offers more than the usual pharmaceutical lines. We pride ourselves in stocking brands which will best meet our local customers needs through our tough selection criteria. We offer a wide variety of cosmetics, fragrances, skincare, gifts and health products. Choice Pharmacy products are niche and appeal to all customers. We offer boutique makeup brands such as BECCA, Napoleon Perdis, Revlon, Designer Brands cosmetics and Natio, all which vary in price points to appeal to all of our Choice Customers . Unsure on what beauty product you need? Why not ask one of our friendly staff members to recommend some amazing products. 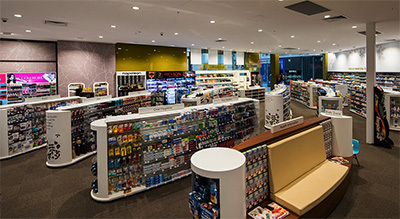 Choice Pharmacy also prides itself on stocking unique skincare ranges which are not found in department stores. We love organic skincare products such as Jojoba Skincare, DR Bronner's, MooGoo Skincare and the Olive Oil skincare company. 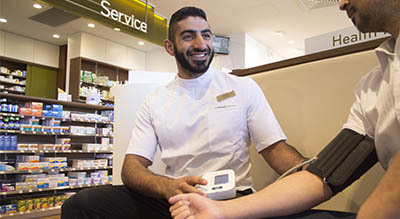 We are community based pharmacists who possess many years of experience and are always on hand to help you with your health needs. Our team is committed to providing nothing less than the best advice, suggestions and service whilst you visit our store. Choice Pharmacy currently have 5 stores across Australia located in North Kellyville, Colebee, Spring Farm, Vincentia and Bakewell NT.